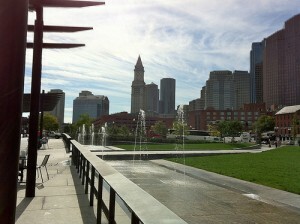 I lived in Boston’s North End while attending Northeastern University in 1983. Everyday I walked under the Central Artery, a huge freeway built through the center of the city that separated the North End from the downtown. While I was there the decision was made to place the freeway underground. Much has been written about all the problems with the “Big Dig” project, but it seems to me this is a lot nicer then my daily walk about 30-years ago. Time flies! 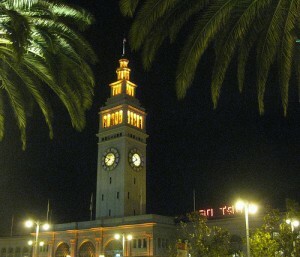 In San Francisco I worked with several groups arguing to remove the Embarcadero Freeway after the 1989 Earthquake. It was a huge battle, but when the freeway finally came down I think everyone was convinced that it was the right decision. Today it’s hard to imagine the freeway ever existed. Later, as Executive Director of the San Francisco County Transportation Authority, I suggested studying placing some of San Francisco’s very heavily travelled arterials underground (e.g. Oak/Fell in the Western Addition and 19th Street in the Sunset). The idea was to remove the traffic from the street and give the space back for pedestrians, transit and limited auto access. The underground roads would be funded by congestion-based tolls. The idea – even studying it – was heavily opposed by many in the environmental community, and nothing came of it. I still like the idea of placing cars underground and making the drivers pay for the privilege. It always makes me mad that public transport is forced underground in most cities. It may be faster there, but access by passengers is complicated, it’s way more expensive than surface based transit (leading free marketers to say public transport is too expensive!) and public transport passengers (people doing something good for the environment!) are forced to sit in dark tunnels, while car drivers enjoy the sunshine. 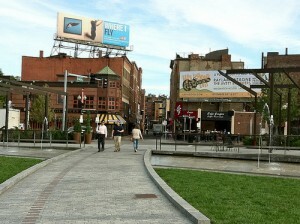 More photos of the Rose Kennedy Greenway in Boston on my Flickr account.